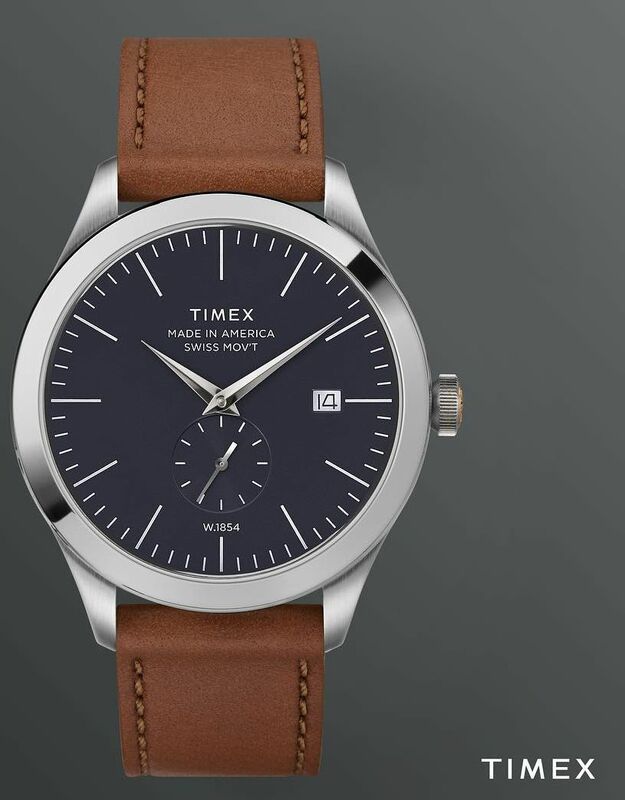 TimeZone : Industry News » N E W M o d e l - Timex "American Documents"
The American-made case, in U.S.-sourced stainless steel, measures 41mm x 10mm. It has a Gorilla Glass 3 crystal and it is water resistant to 30 meters. 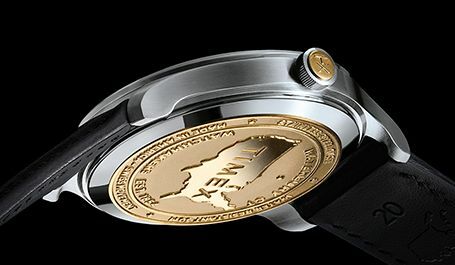 "Aged Waterbury Brass" caseback coin and crown insert. 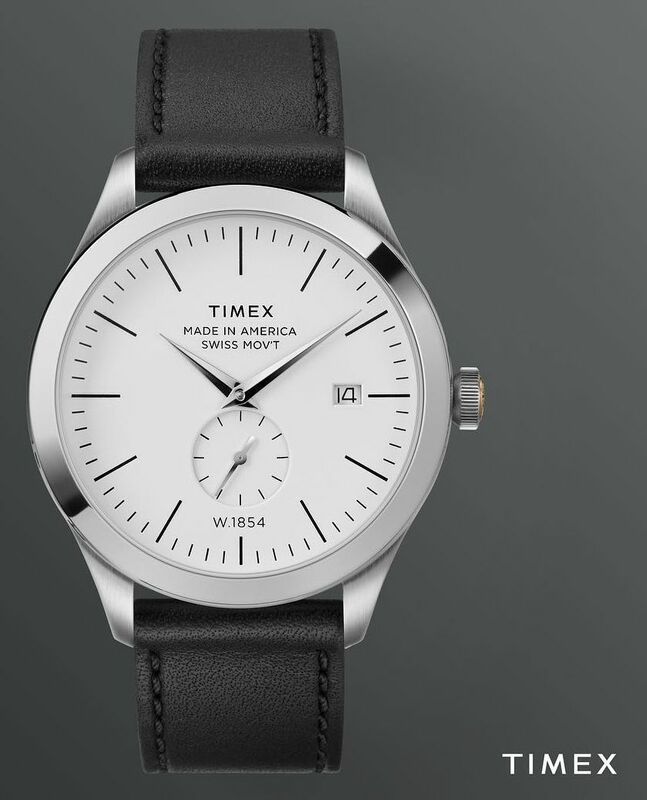 Movement is a Swiss quartz caliber with gilded finish. Polymer movement support ring stamped "USA"
The two layer dial, made with U.S.-sourced brass, is triple printed. They can be had in white, blue or black. Shaped hands made in America. 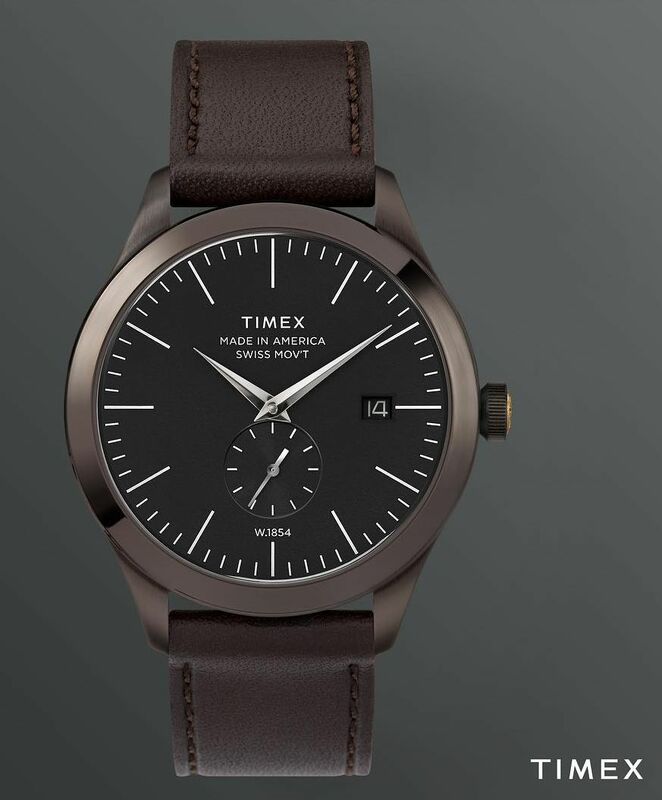 It comes on a 20mm black or brown leather strap made with American hides by American craftsmen. Steel buckle. It is delivered in a solid cherry wood case that is hand rubbed to a natural finish. Magnetic closure and brass hinges secure the felt-lined custom setting.